This book discussion group meets at noon on the third Wednesday of each month in the Library’s Conference Room. Bring a sack lunch, if you wish, and savor some lively discussion. If you would like to attend, please call the Library, and we will try to get each month’s book for you. For a complete list of books we read, click here. The Outer Edge is Chatham Area Public Library’s science fiction and fantasy book club. We read and discuss classic and modern titles alike. The Outer Edge meets the third Monday of each month at 6:00 p.m. The library will order several copies of each book and have them waiting for you at the front circulation desk. Come grab a copy of this month’s choice today! For a complete list of the books we've read, click here. The Spice of Life Book Group meets the first Tuesday of each month at 6:00 p.m. Our group will be changing focus. We will still share the love, but see more thrillers, chillers and killers. Due to some subject matter, this book group is for adults 18 and older. 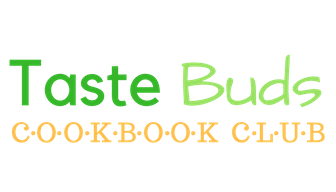 If you love to cook and want a fun, casual environment to share your recipes, the Taste Buds Cookbook Club is just for you. Make a recipes from a cookbook and bring your dish to share with the group. We will enjoy the great food, have a discussion about your experience cooking and the cookbook itself. Don't forget to bring a copy of the recipes and serving utensils. Library will provide beverages, plates and utensils. Open to cooks ages 14 and more seasoned. Registration is requested. You can sign up here. Our Tuesday Evening Book Group meets the second Tuesday of each month @ 6pm and alternates between reading fiction and nonfiction books.We hope you will join us for our upcoming meetings, when we will be reading and discussing the following books. For a complete list of the books we've read, click here.